CSP-SM - Certified Scrum Professional - ScrumMaster course - is part of the Great ScrumMaster Academy Program. The class is trained by Scrum Alliance certified trainer CST and you will definitely enjoy it. It's not any boring powerpoint class, it's an interactive workshop based on the facilitation and coaching at the system level with a focus to the entire organization. Full of simulations, conversations, and experience sharing. 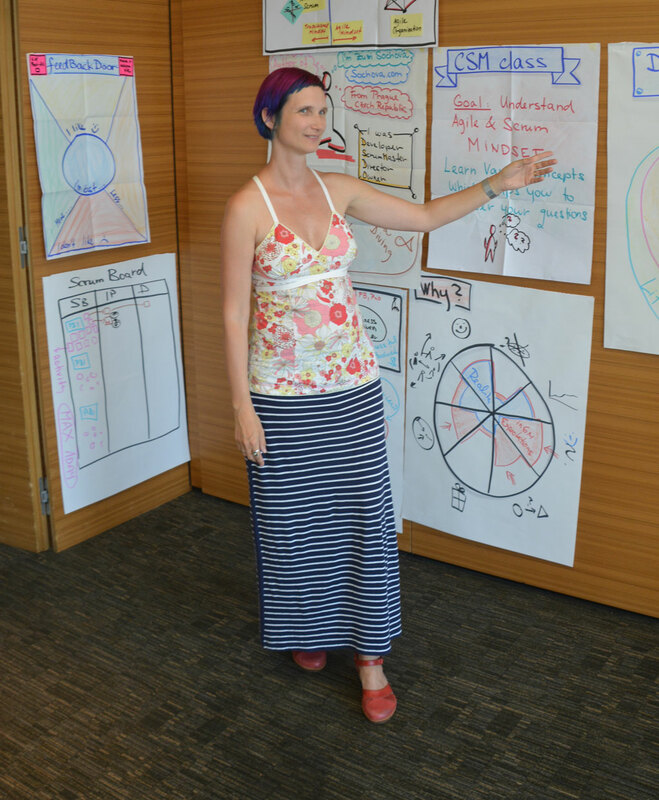 Unlike online programs, you will meet real people who are on the Great ScrumMaster journey together with you. You find friends who will support you even after the class, as the class is just a beginning and the participants will organize coaching circles to support each other and enhance their learning. Being a great ScrumMaster is a journey. 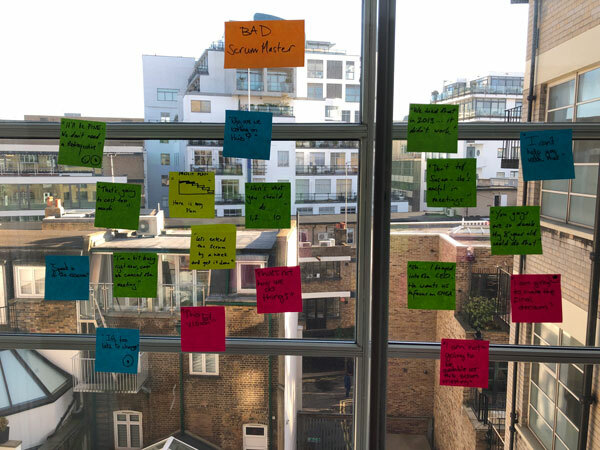 We will build on top of your Agile mindset, and Scrum experience and help you to skyrocket the success by building great high-performing teams and communities. The 2 days workshop is practical advanced training in Agile coaching, Agile facilitation techniques and servant leadership approach on situations brought by participants. You will work in self-organizing teams, supporting each other on your journey, sharing experiences and hints. Most importantly, by receiving the CSP-SM certification, you will improve your implementation of Agile and Scrum in the workplace and be able to support agility at the organizational level, build the communities and become a servant leader. Comparing to the A-CSM - Advanced Certified ScrumMaster, the CSP-SM - Certified Scrum Professional ScrumMaster goes deeper into the scenarios and wider the focus to the entire organization. Facilitate dialogue between the Managers, different departments, Product Owner, team members, customers, stakeholders. Practice a servant leader approach, form communities, build leaders around you. Build sustainable Agile and Scrum at all levels of the #ScrumMasterWay concept. Help your company adopt Agile and Scrum and support executives committed to Agile values. Understand agility at the organizational level, and be able to evaluate different scaling options. Be able to motivate people for a change, understand the company culture as an enabler for successful agile transformation. As one part of the Learning objectives is focusing to the service to the Product Owner, it is highly recommended to have a CSPO – Certified Scrum Product Owner certification or similar good understanding of the Product Owner role. This course is specifically designed for active Certified Advanced ScrumMasters (A-CSM) who have at least two years of experience in the ScrumMaster role. Come prepared to share your knowledge and experience and learn from the experiences of your peers and the facilitator. Do the pre-class preparation (depending on your experience and knowledge anything between a few hours and a few days). Demonstrate your readiness of the CSP-SM learning objectives during practical simulations, which are going to be validated by the trainer. 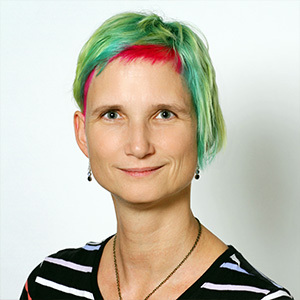 Have at least two years of work experience specific to the ScrumMaster role logged it at your Scrum Alliance profile (within the past five years). 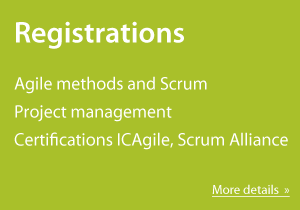 Hold an active Certified ScrumMaster (A-CSM) certification with the Scrum Alliance. 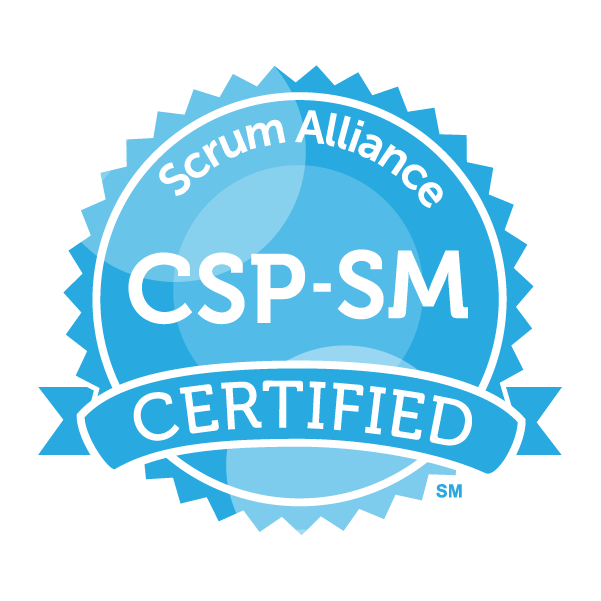 NOTE: You may take the CSP-SM course at any time after completing your A-CSM certification, but must have at least 24 months of Scrum Master experience logged into your Scrum Alliance profile before you can receive your CSP-SM certification. While this class may be taken by anyone, the CSP-SM will not be issued until all of the above listed criteria are met. To get the most out of the two days, make sure you reviewed the CSP-SM Learning Objectives before the class and are ready to identify areas where you need to focus. For more details or individual company training tailored to your situation please contact us. Register for public courses and workshops.